Oprah Winfrey was one of the many celebrities in attendance at Prince Harry and Meghan Markle's royal wedding back in May. 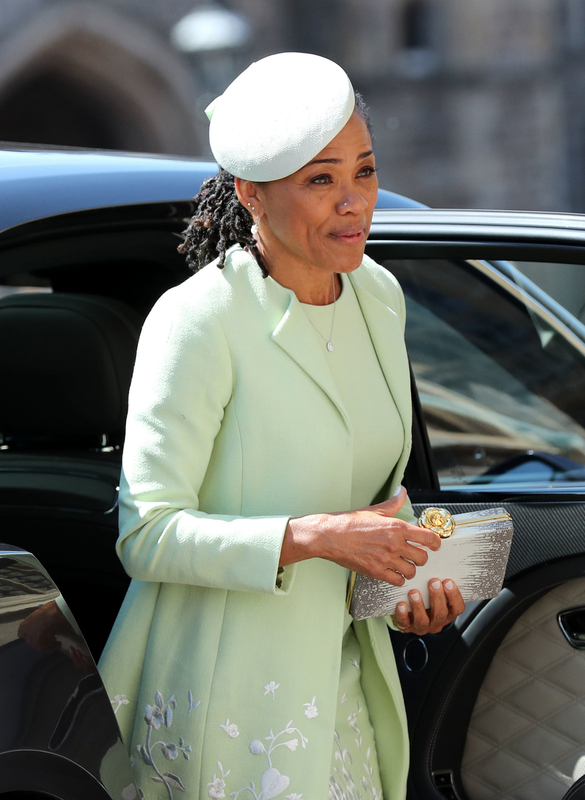 And before attending the royal wedding, Winfrey also spent some time with Doria Ragland, Markle's mom. Rumors started to swirl about Winfrey trying to snag an exclusive interview with the new Duchess of Sussex’s mom. But at the premiere of the Oprah Winfrey Network’s new TV series Love Is , Winfrey denied those rumors, explaining that Ragland visited her California home for some yoga and lunch. Winfrey said she also encouraged Ragland to take some kumquats home from her kumquat tree. The two had dessert made of fresh kumquats after their lunch, which is when Winfrey learned that Markle’s mom is a fan of the fruit. "She said, 'I love kumquats,' and I said, 'I have a kumquat tree! You want some kumquats?' So it was a basket of kumquats, people," Winfrey said. "For all of the people who said I am getting her gifts and I'm trying to bribe her for an interview -- they were kumquats. If kumquats can get you an interview, I’m all for it!" “You could not be there or watching on television...and not feel that there was a shift that just happened in the middle of it. I think it's bigger than them and I think it bodes well for hope for all of us."